N- Name It. Be specific and positive in your focus about what you want to change or do differently. Broad statements like “I want to lose weight” or “I need more free time” are great ideas but difficult to put into action steps because they are not specific. Try goals like “I will take the stairs every day rather than the elevator” or “I will finish all work projects before checking social media”. These steps are specific toward your greater goal and have a better chance of getting you where you want to be. The other benefit is they are focused on what you WILL do rather than what you will STOP doing. We are more apt to stay on task with a goal that allows us to do things rather than one that feels like it is telling us what to stop… even if we made the goal ourselves! E-Encourage. Find sources of encouragement all around you and focus on them often. 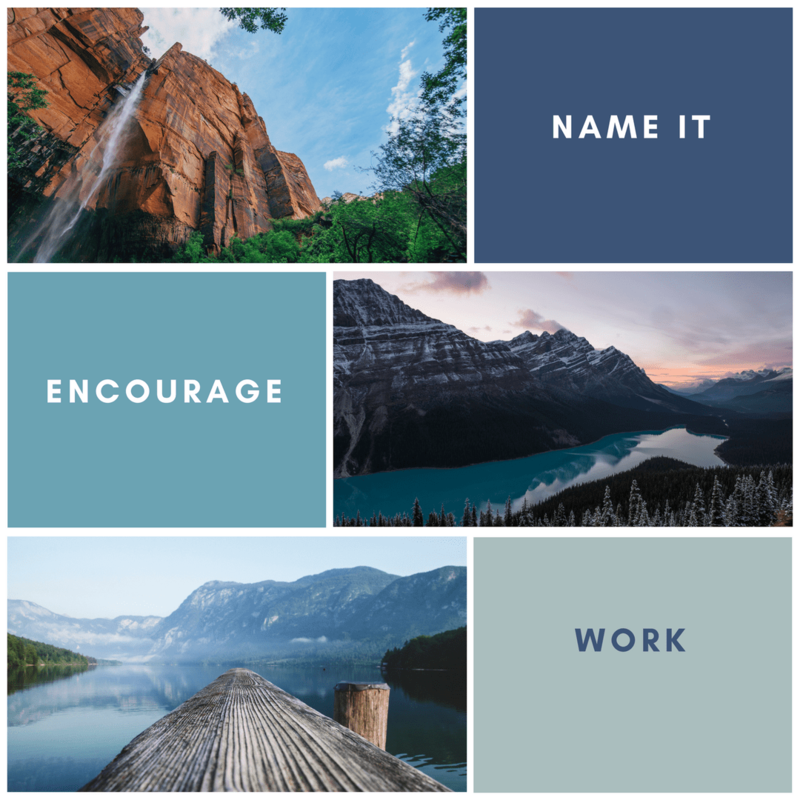 Identify an accountability partner, follow online platforms of those also striving toward similar goals, develop creative ways to put encouragements around your home such as post-it notes or motivating pictures. These pick-me-ups can help you keep going on days when you feel stuck or unmotivated. Journal your progress so that even on days when it feels like nothing is happening you can look back on what you have already accomplished. Writing reminders of why you chose this goal and what you hope to accomplish can also help you stay on track. W- Work. Change takes work and setting that expectation for yourself from the beginning allows you to be prepared for the rough days. If this change were easy, you would probably already be doing it or wouldn’t see the need for this difference in your life. The desire to be different and achieve this goal is sparked by something not working as well as it could or by the desire for more. Find small victories to keep the efforts going and remind yourself of other times that you have worked hard and been pleased with the result. You can do it and the work is worth it! When we set goals for ourselves, we can often feel pressure to make progress at a certain pace or see immediate change. Give yourself grace and take your time. Real change is not overnight. If you have a few days where you don’t feel focused on your goal, that is okay. Each choice you make is a step in the right direction and can even be a reset or fresh start if you hit a sticking point. You are in control of your goals and on your way to a N-E-W you this year! You can do it!